Fill spots that are currently going unused, and get paid directly for every reservation, even for no-shows and last minute cancellations. Convert new clients to paying members. Show off your classes, instructors and space to new clients. Stream your in-studio classes live from your website. Record your classes with a click of a button. Your clients can join online from home or traveling. 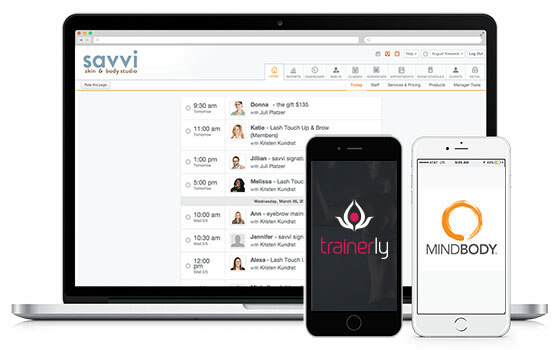 Setup your online classes from your existing MINDBODY class schedule. Define who can access your online classes and videos based on your existing MINDBODY sales. Tie online classes and videos to your existing MINDBODY passes and membership. Upload and embed video directly on your website. Drive retention by adding live stream and video option for members. Securely store your videos in the Trainerly cloud. Embed your MINDBODY class schedule and video library directly on your website. Easily share your online classes and videos to Facebook and Twitter. Email your videos to drive traffic and signups for your in-studio classes. ©© 2019 Trainerly. All Rights Reserved.